2017 January | KP and the BOOM BOOM | "Our music is about positivity, it’s about having a good time"
Next ATX Show 2/10/17 @ ACL 3TEN! 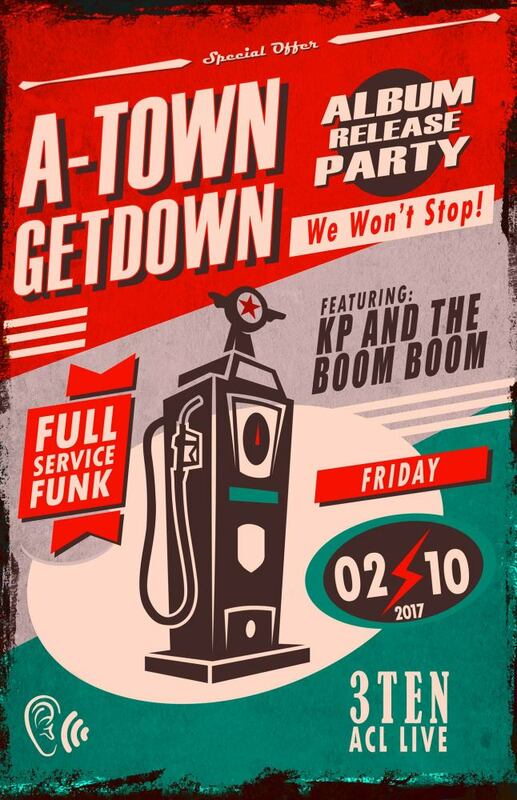 KPBB will be supporting ATown Get Down for their Album Release Party at ACL 3TEN! Bringing funk, soul, jazz and lots of PAZAZZ, join us for whats guaranteed to be a fun packed, feel good evening.